Some of the vessels that made up the Small Ships Fleet . 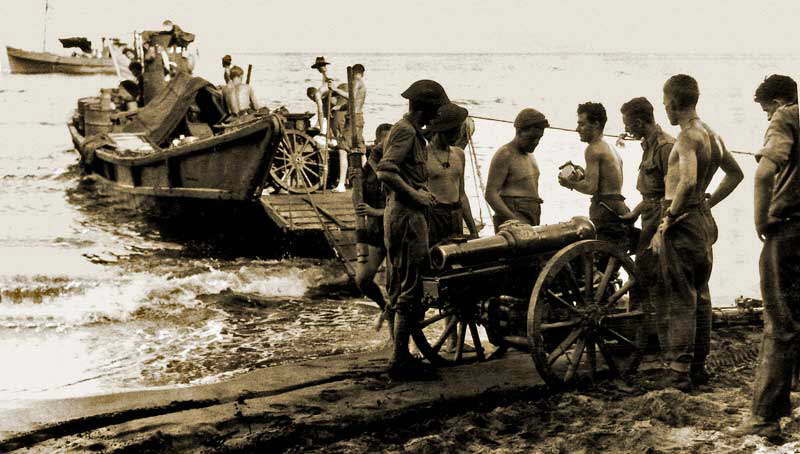 They carried troops to the landings , & brought back the wounded & the dead ; they also provided the supplies . “Will Watch” wooden hulled ketch rigged sailing vessel . Built 1895 at Woy Woy ; sank in the Bass Strait 1987 . 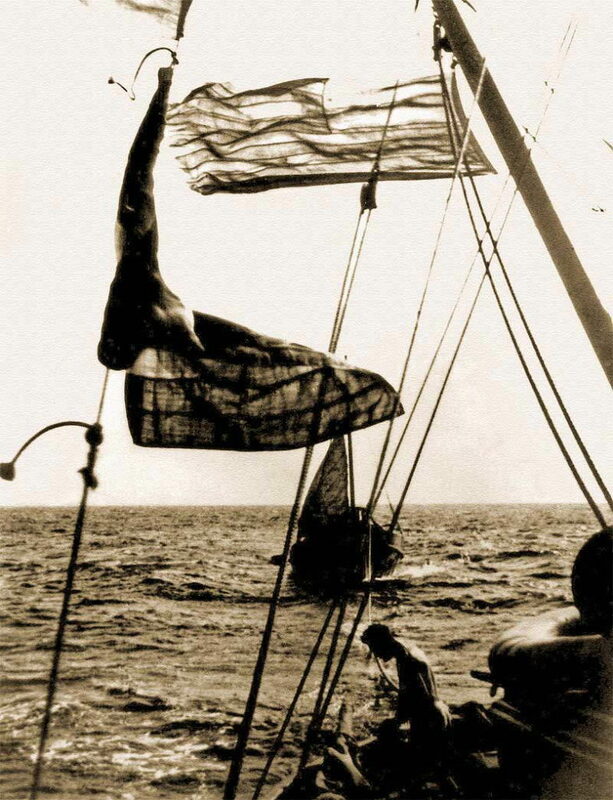 “Two Freddies” , wooden hulled single screw fishing vessel. 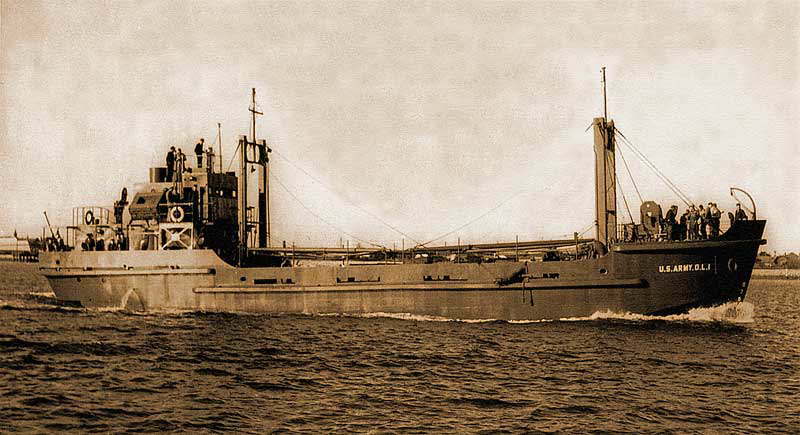 Built 1941 , sunk at Magnetic Island March 1945 . Under tow by “Willyama Two” , wooden hull single screw fishing vessel . Built 1941 , strafed in 1942 , repaired & saw out the war . “M.V. 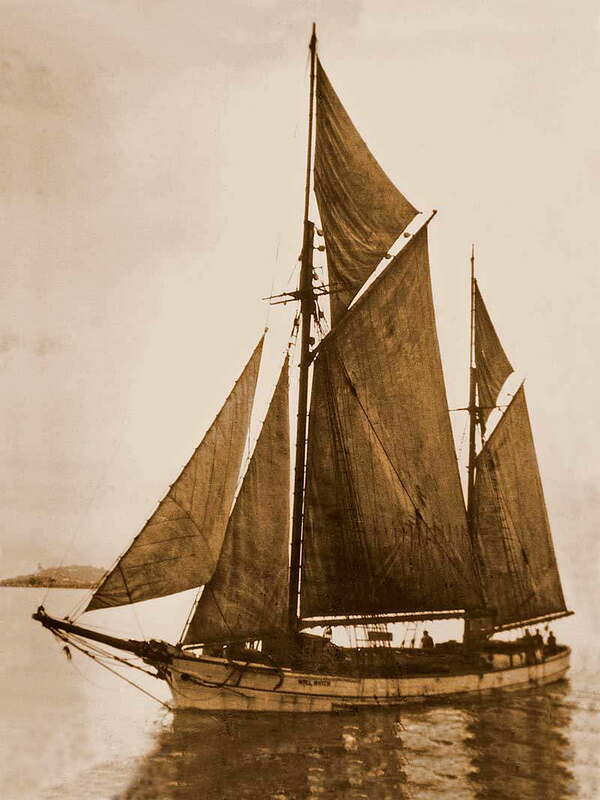 Lorinna” built Greamouth , Scotland , sailed to Tasmania . 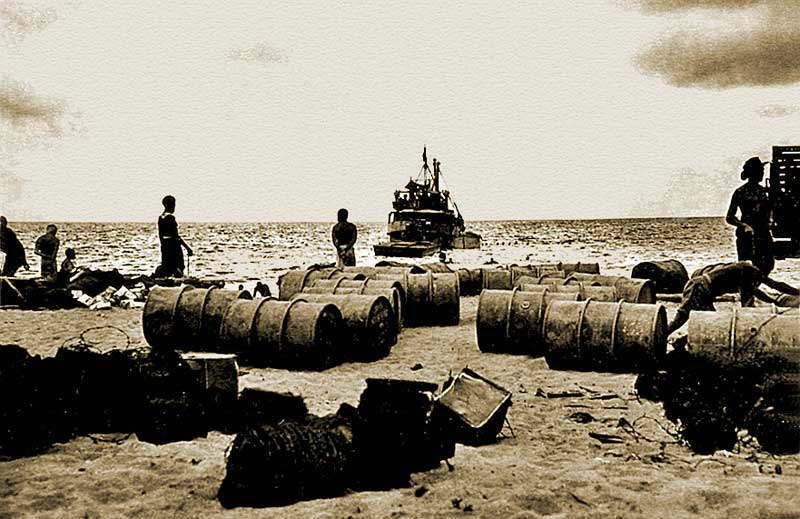 Requisitioned 1942 , returned to owners 1945 . 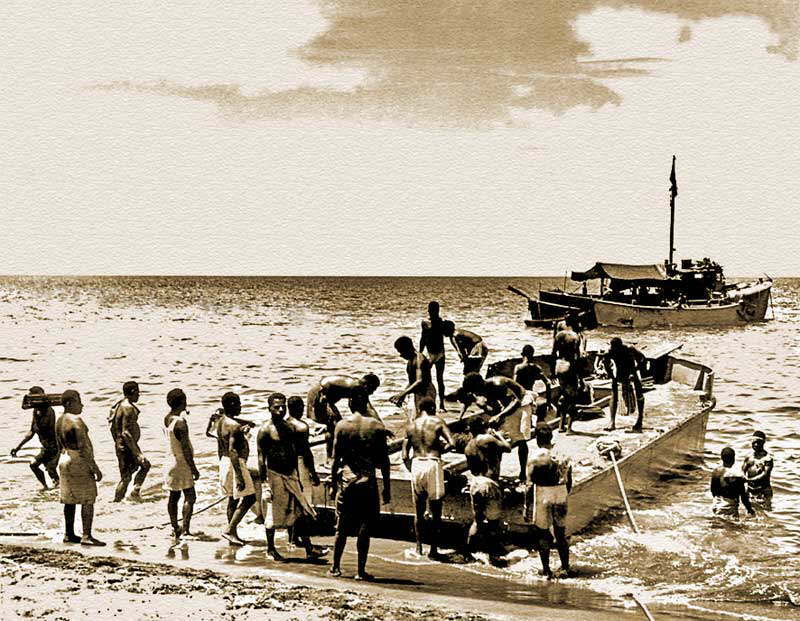 “Kooraka” steel hull single screw , passenger cargo built 1925 unloading petrol with native labour 1943 at Pongani . 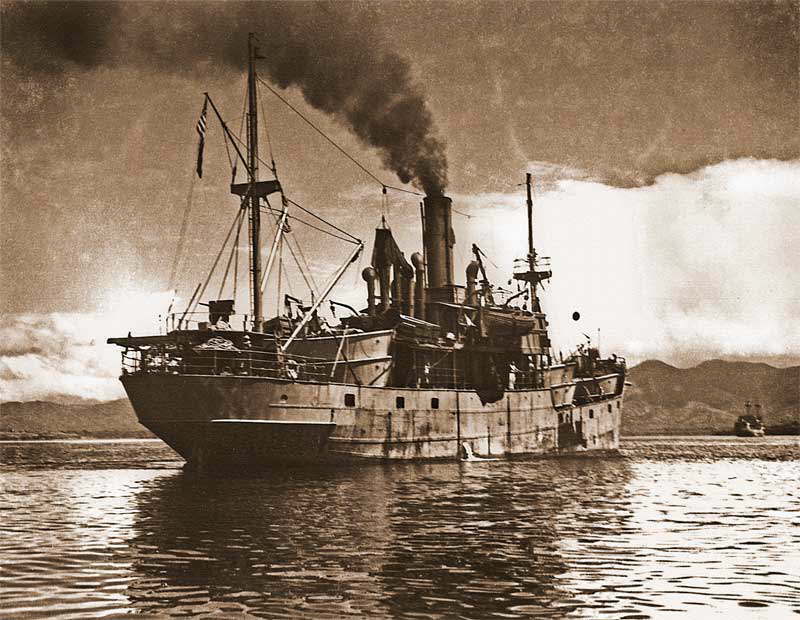 “Maiwara” single screw cargo steamer built 1924 Germany , requisitioned 1943 from Burns Philp , after war sold to China . 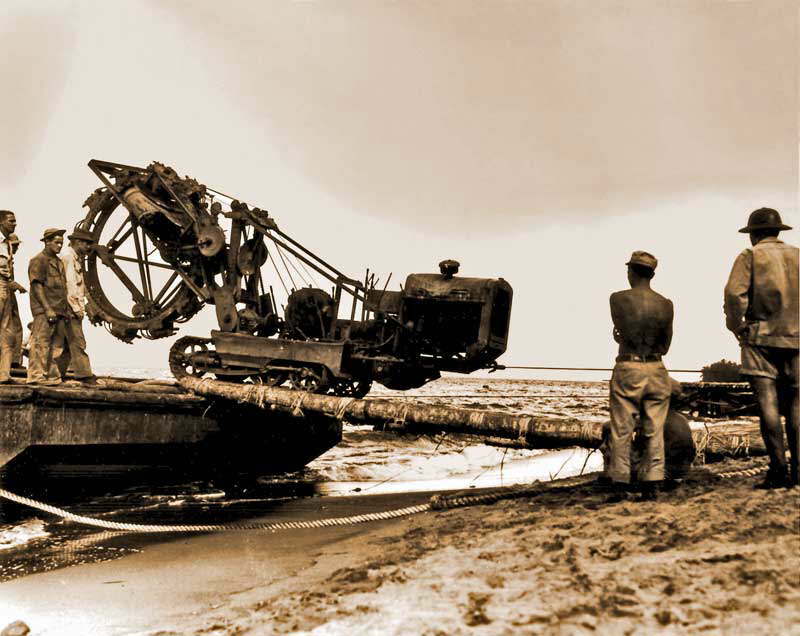 A Ditch Digger brought ashore by a vessel of the US Army Small Ships , they also transported tanks & artillery . 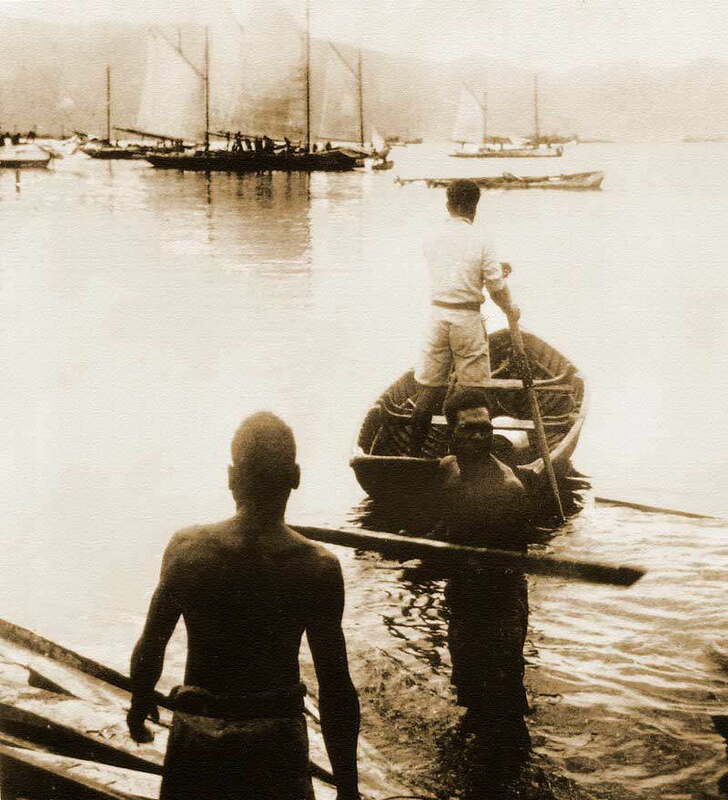 Small ships trawler off shore loading barbed wire onto a barge which was then being unloaded by native labour . 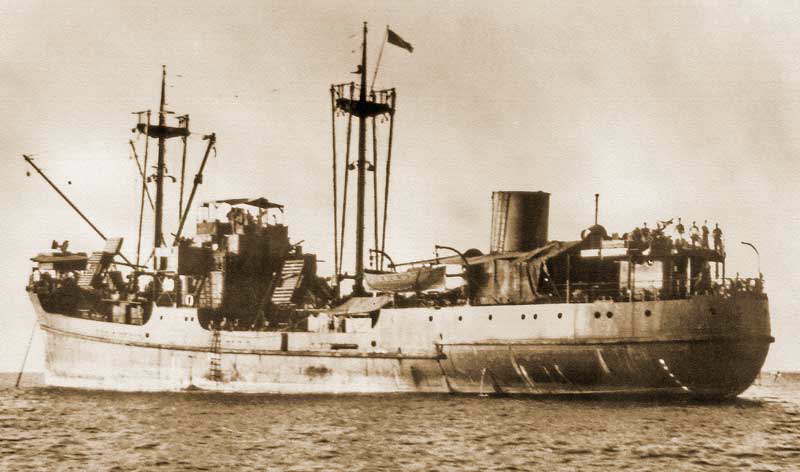 Note the captured Japanese barge alongside . 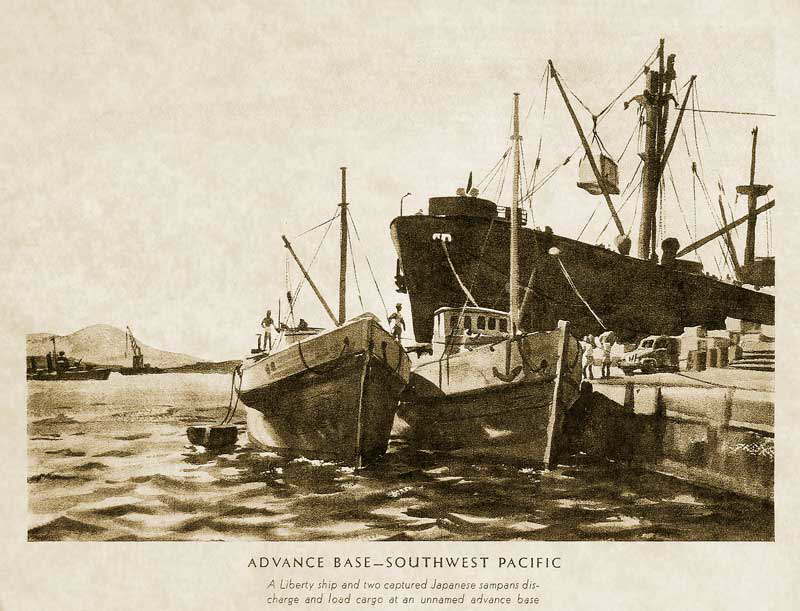 A Liberty ship & two captured Japanese sampans discharge & load cargo at an unnamed advanced base .